8 Big Doses Of Creative Inspiration To Sprinkle Exciting Fairy Dust On The Week Ahead! 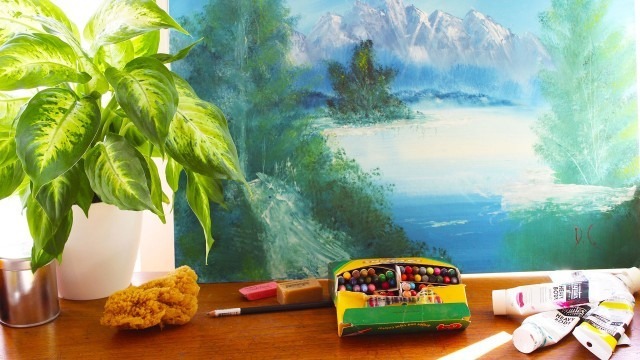 Welcome to my first painting ever, made at a somewhere between 10 and 12 years old in my living room in Secaucus, New Jersey with sheets over the gold carpets and a whole studio set up… oil paint… fumes and all… as I made happy trees with Bob Ross. The Joy of Painting with Bob Ross Season 1 is now online for free! Rejoyce in making your own happy forests!!!! Even if you don’t ever paint a thing, I hope you watch the first minute of this video at the very least. I think it’s where I originally was imprinted with the idea that we are all creative geniuses. Inspired?! Let’s keep the inspiration flow going!!! *Oh wow!!!!!!! 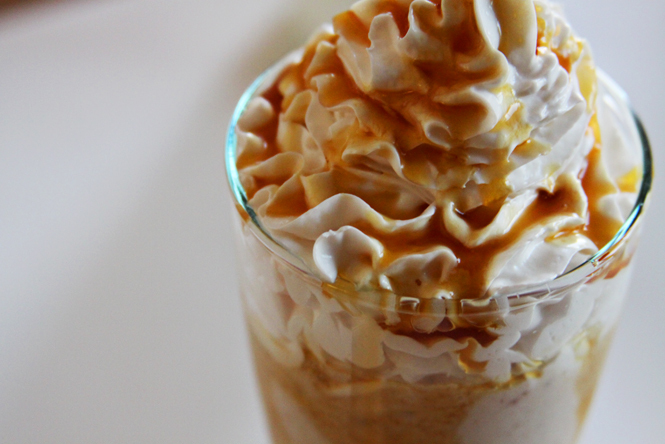 Apple pie milkshake from Bon Affair. And it’s healthy. Yes: healthy!!! Coconut, apple, delicious…! Can I say something about this healthy caramel apple milkshake? Oh hell yes. 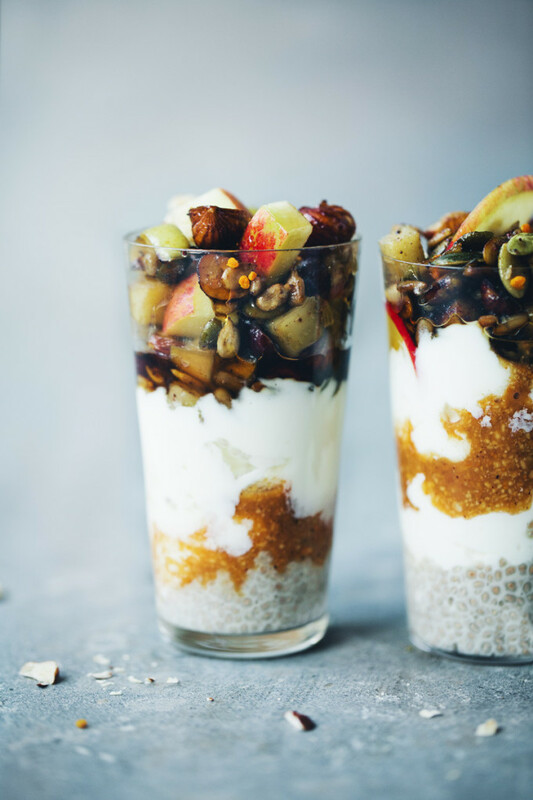 *More apple majesty: Green Kitchen Stories Chia Parfait & Autumn Apple Crunch. This looks completely scrumptious and somewhat virtuous too! *Relax more & everything is dramaically better! The Effects of Stress on Your Body. Aahhh, how stress makes you sick, here’s the medical understanding behind the common knowledge. *What a great vision for cities. 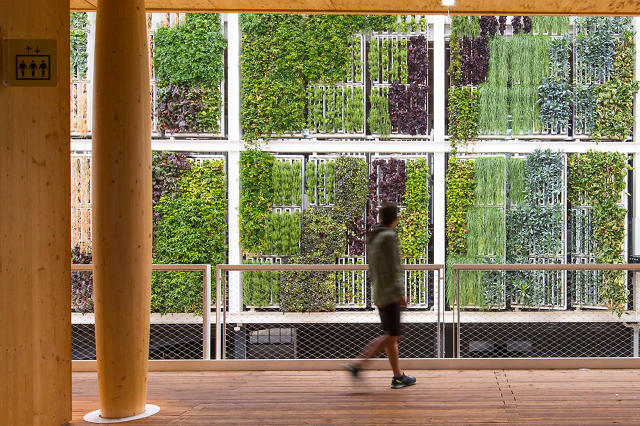 Within 6 weeks (and every 6 weeks) you can harvest 40 lbs of edible greens with these edible gaden systems that grow on your walls, weed-free! 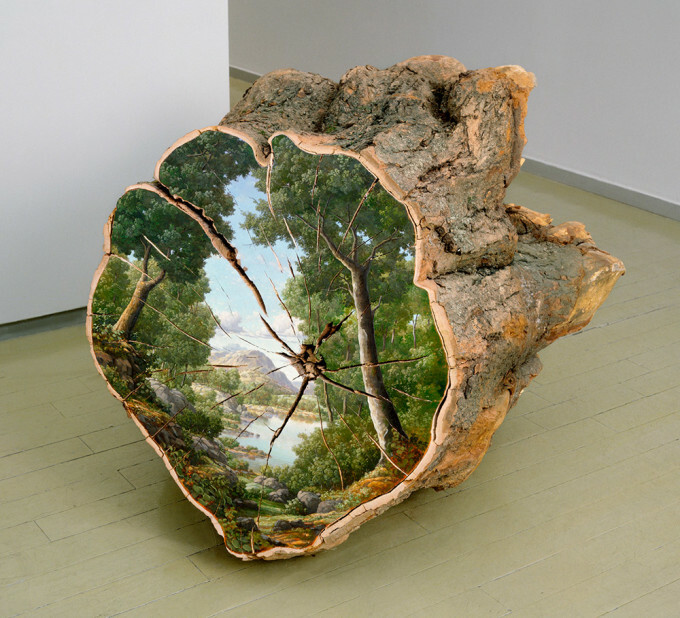 *These cut log landscapes from Alison Moritsugu turn Nature inside out in a spectacular way…! This leads to the question: What clever stuff can you make with the natural world around you? *More big questions open up the weekend, namely, 10 Questions That Will Help You Find Your Voice! If you feel like you aren’t having enough impact, this will crack things open. *Blooming cactus. Supernatural-style. Because there are so many things always blooming. That includes you! Compiled lovingly by Dana D… Dana D. is a perpetually curious professional life student, domestic engineer, and astronautical engineer by degree. She loves to explore new neighborhoods, museums, meet people, and pet strange dogs. She believes that all miracles are huge and that you never know what the day will bring – so be positive, happy, and grateful. Previous post: What Does It Mean When You See 11:11 Everywhere? Next post: Feng Shui To Create A Life Where Things Go Your Way!